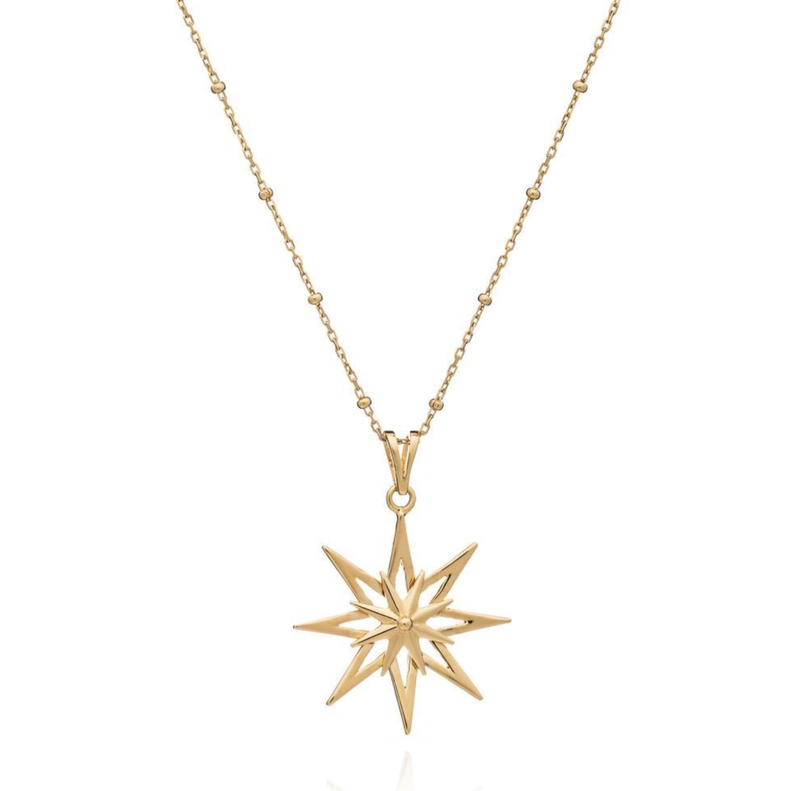 Channel your inner rock star in this 22 carat gold plated sterling silver star pendant necklace from Rachel Jackson. Art Deco inspired star pendant. Unique ball detailing on the chain.